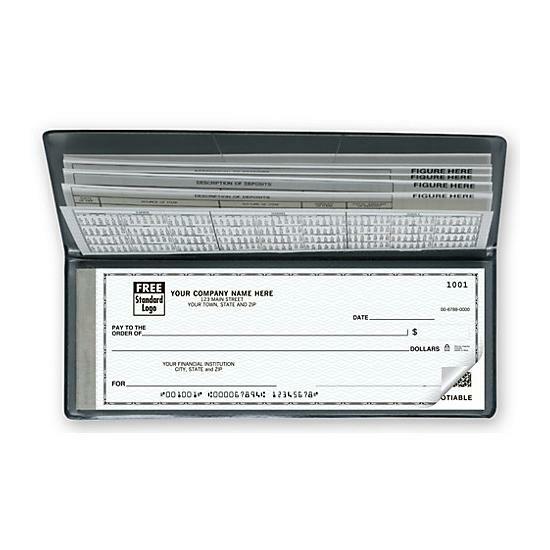 Great compliment to computer checks when you are on the go.An ideal full-size business check for organizations that only need small quantities.Our Traveller business checks are full-sized, yet easily carried in your purse, briefcase or pocket! 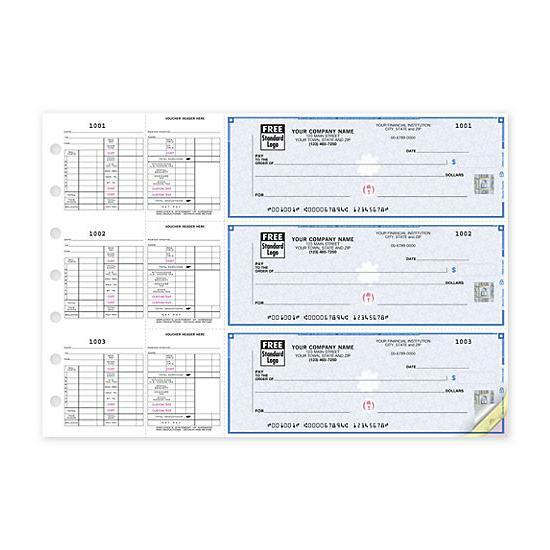 Choose 40 checks with 15 deposit slips, or 160 checks with 60 deposit slips. Compatible with Premier Leather Cover (59001) and Leather Zippered Portfolio (59002), sold separately. 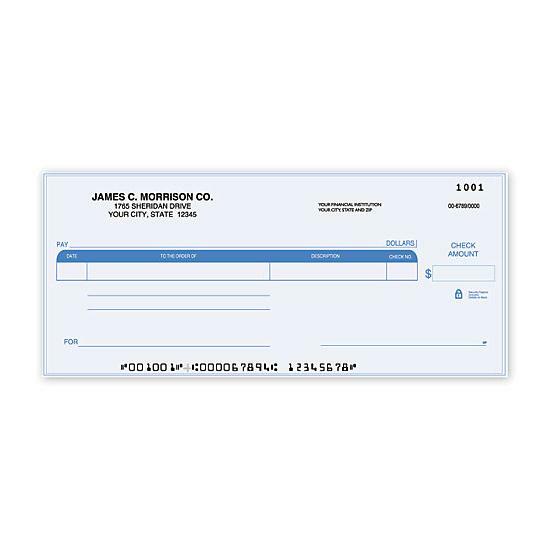 Free personalization includes your business imprint plus choice of standard typeface & business logo. 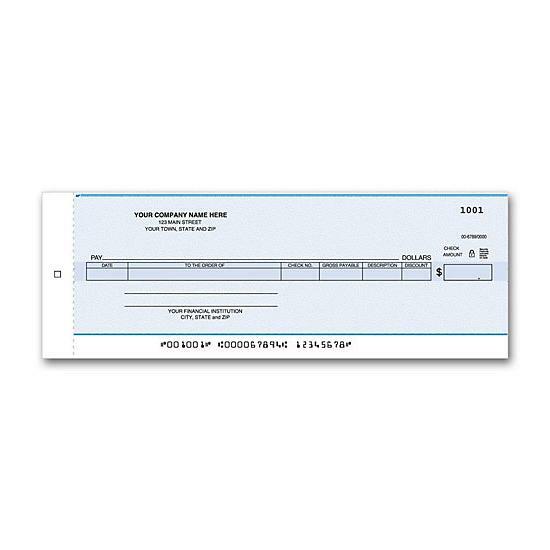 Checks available in 1-part or 2-part duplicate format. Blue vinyl cover & check register included.